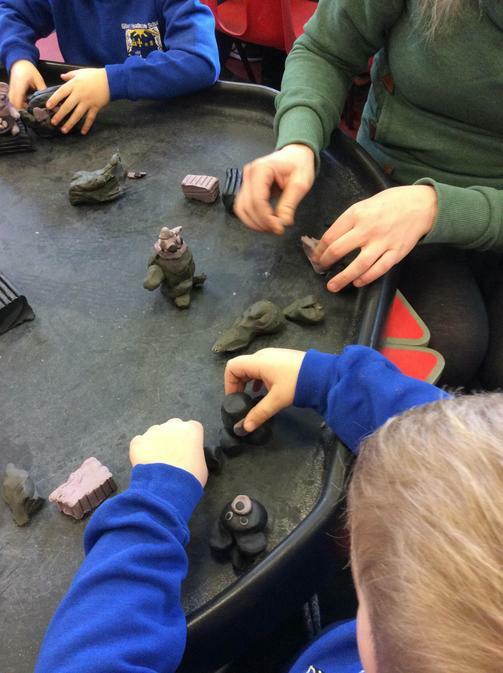 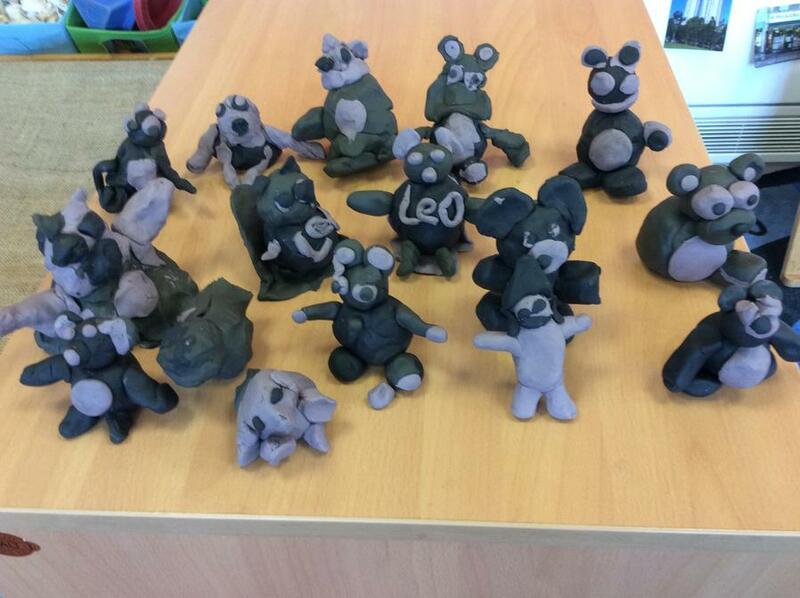 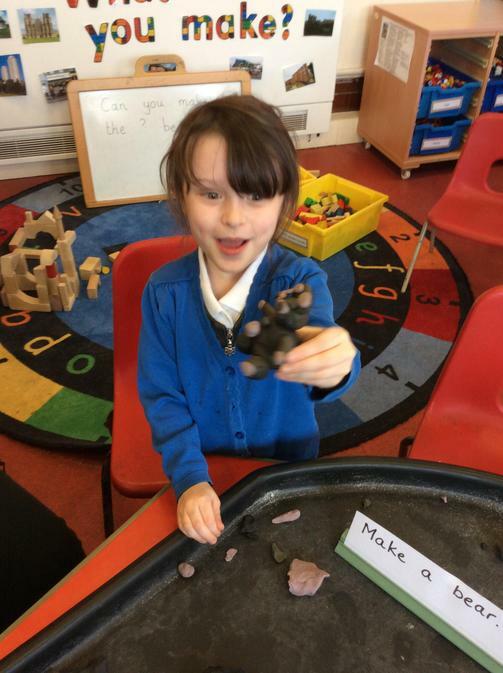 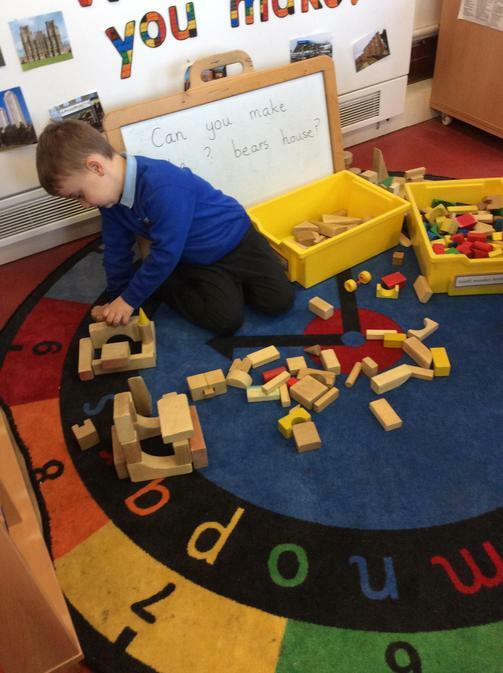 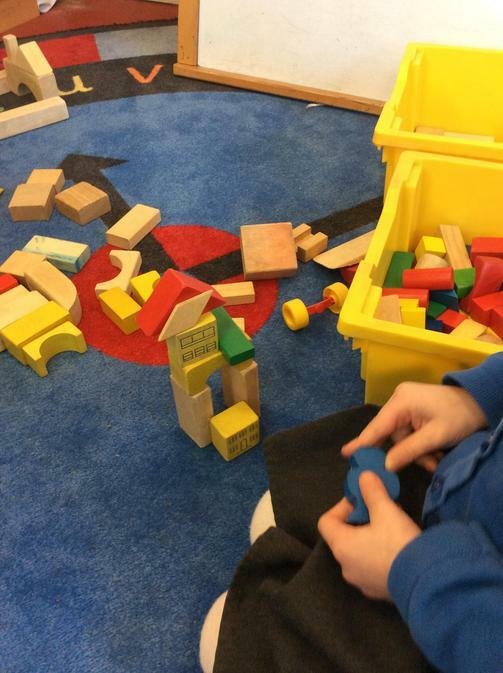 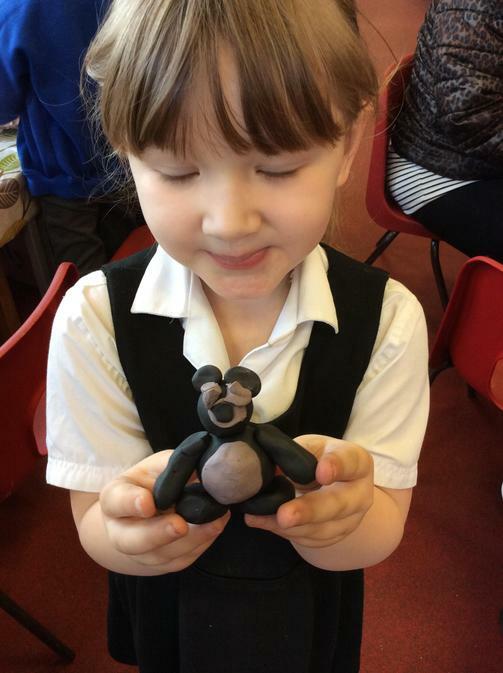 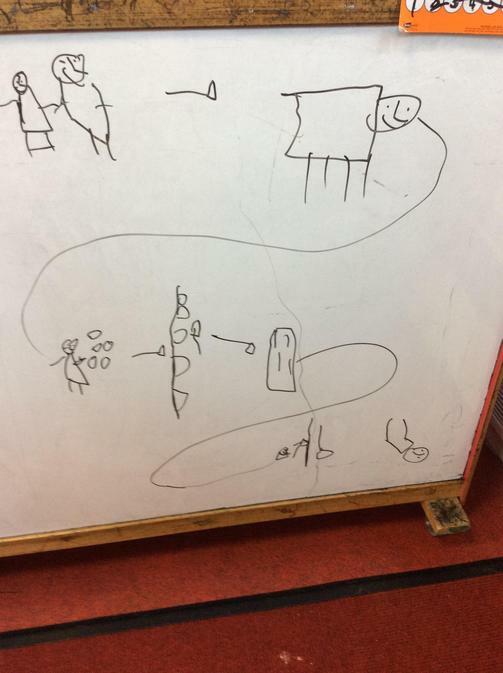 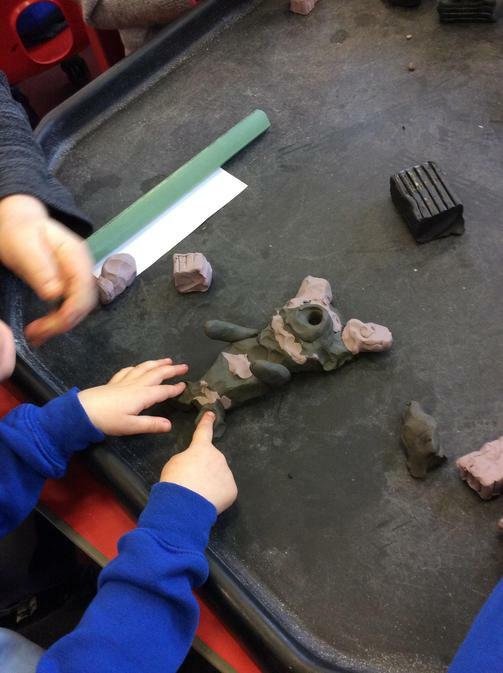 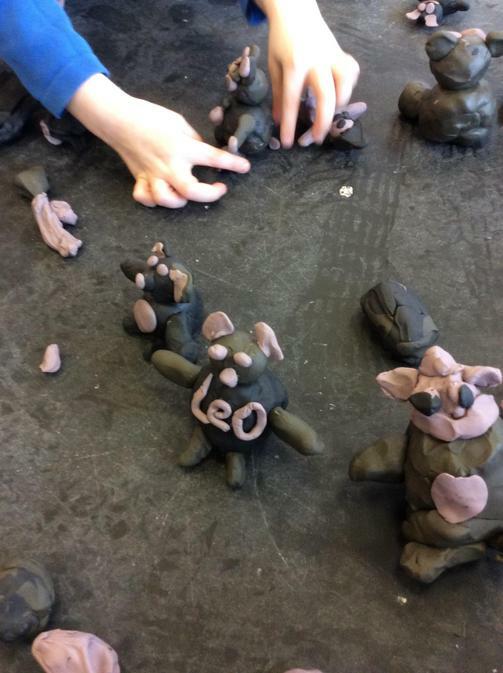 This term we have been learning about traditional stories. 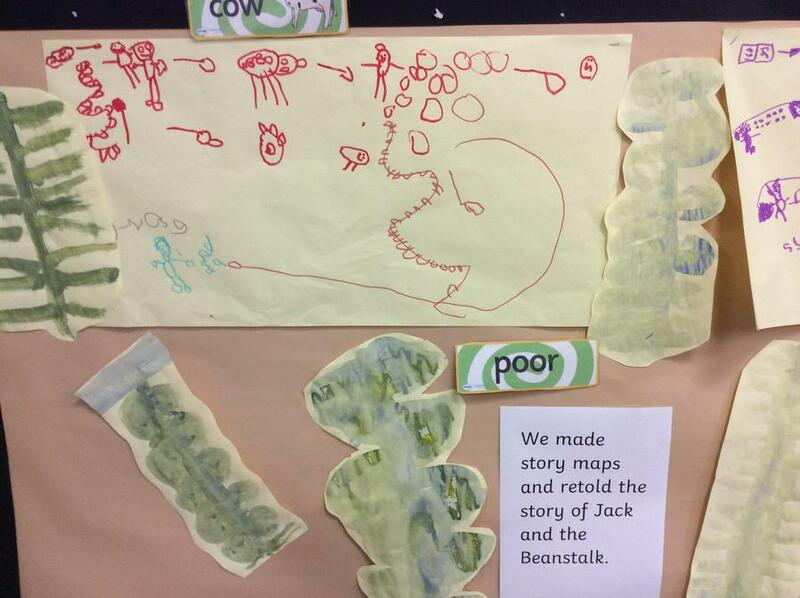 We started by reading Jack and the Beanstalk by Nick Sharratt. 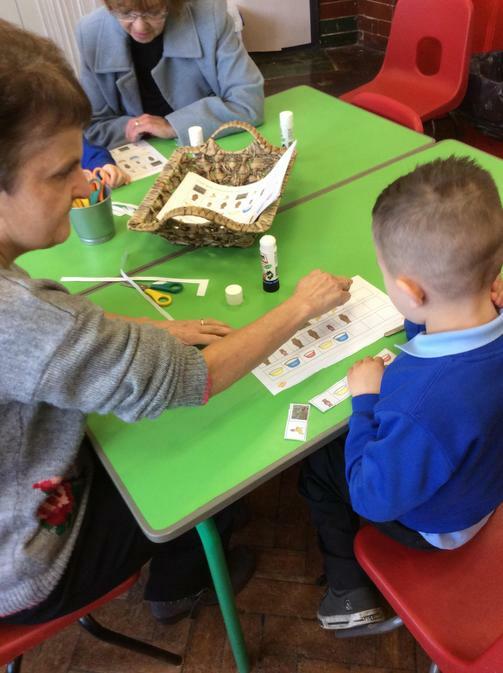 The children planted their own magic beans. 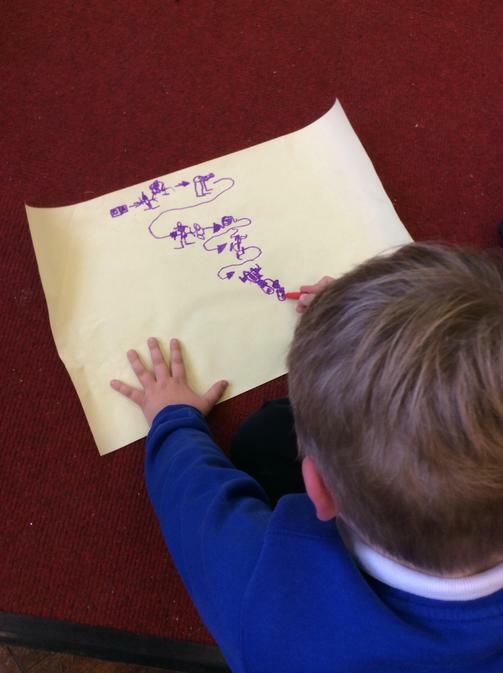 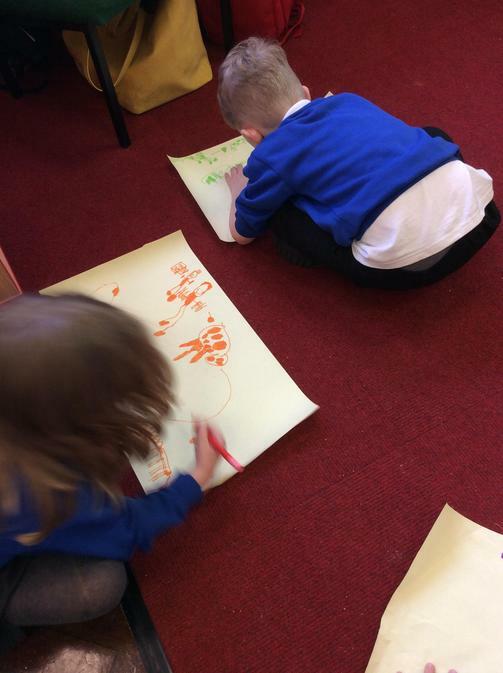 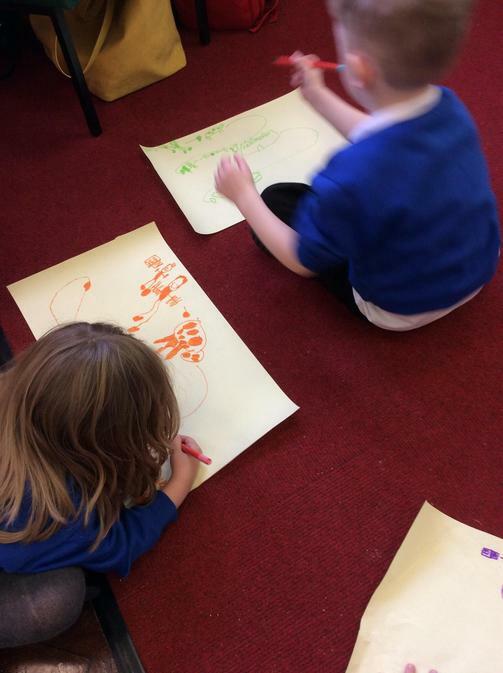 We made our own story maps to help us to retell the story. 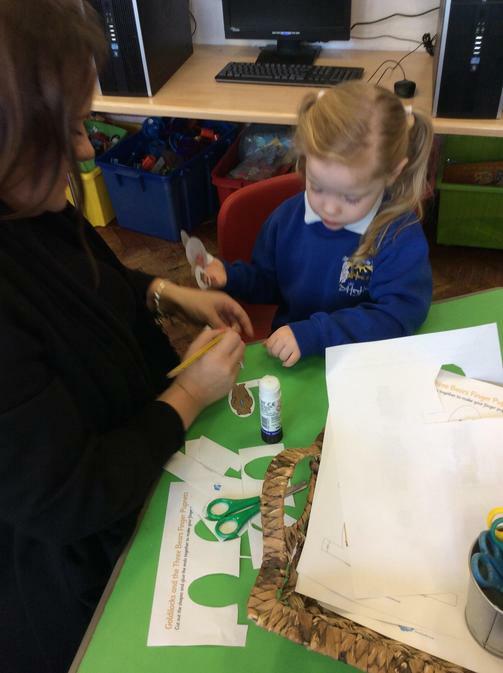 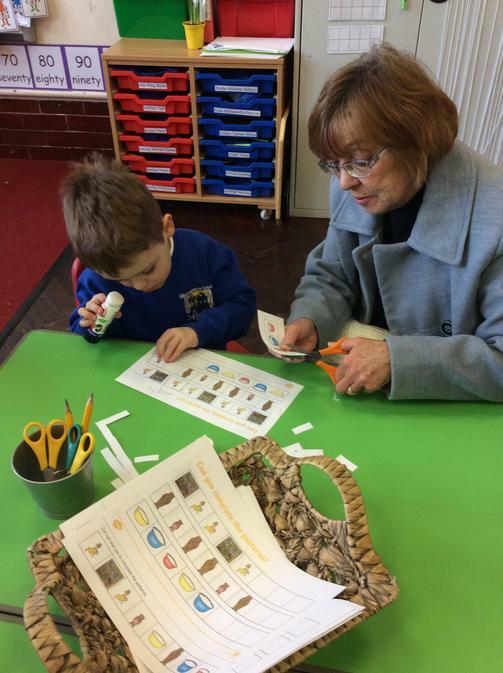 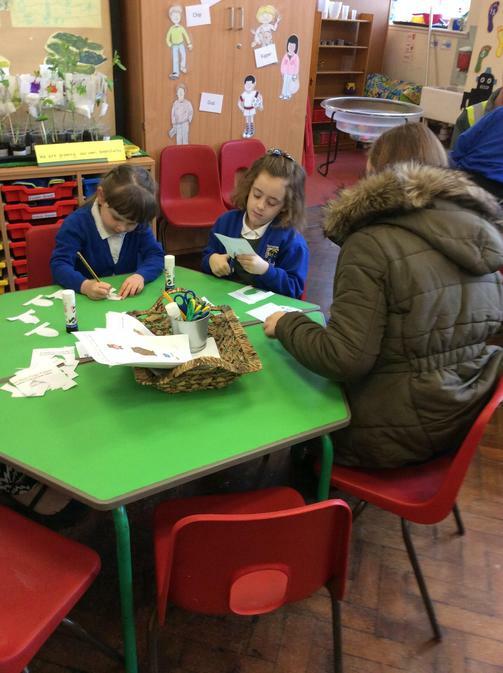 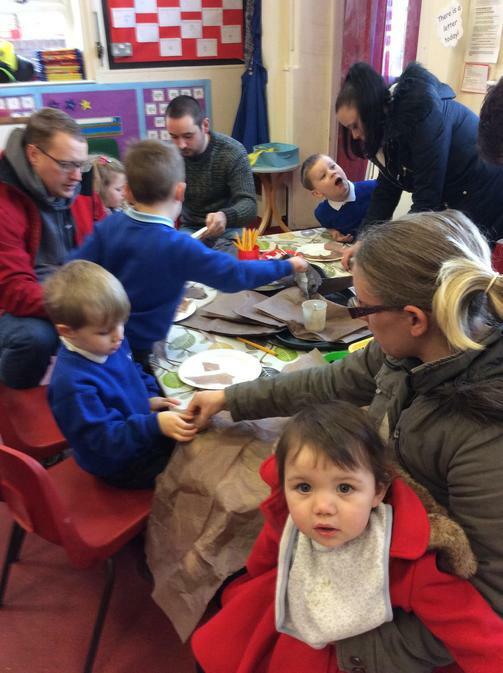 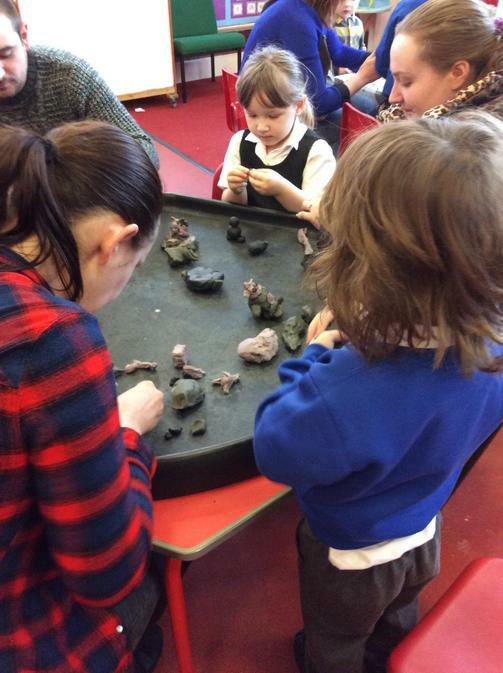 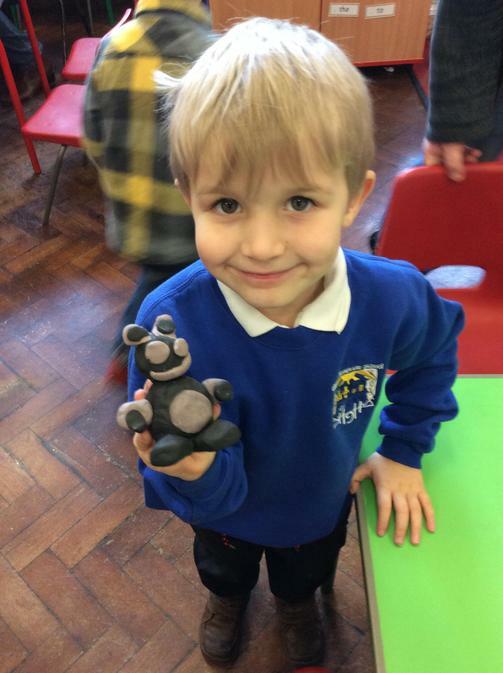 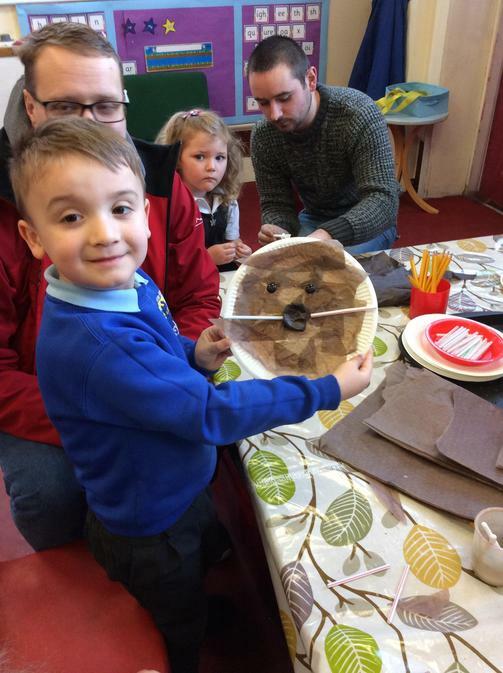 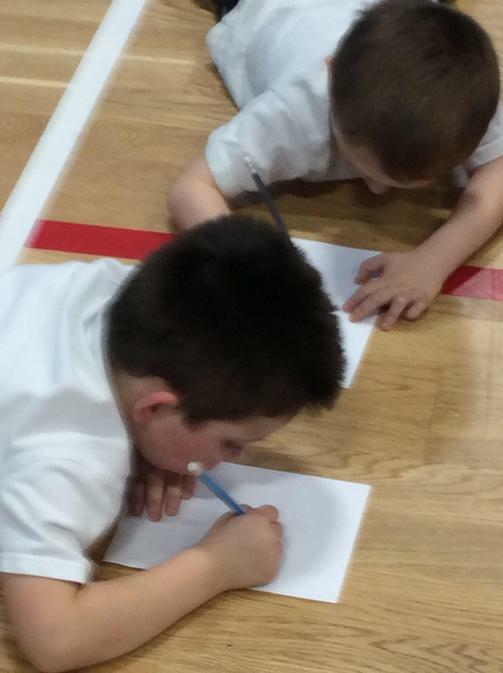 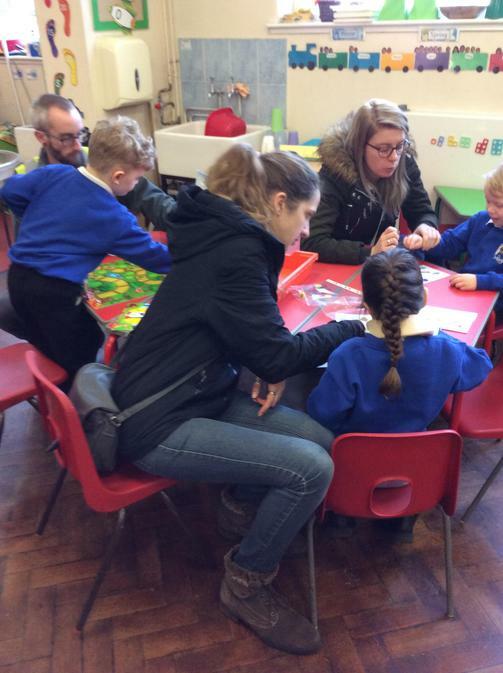 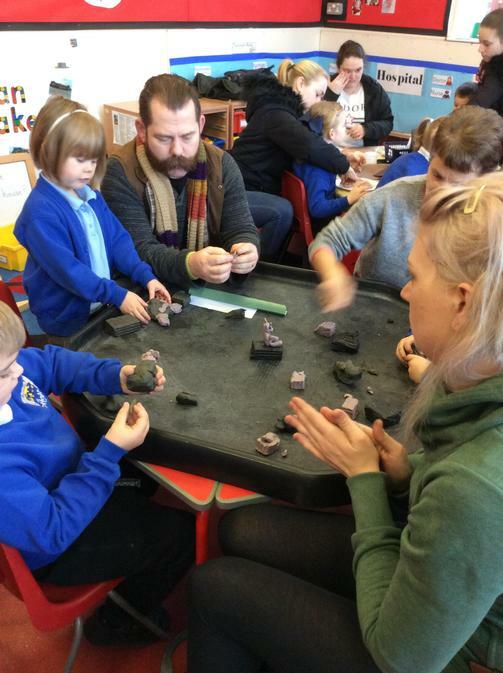 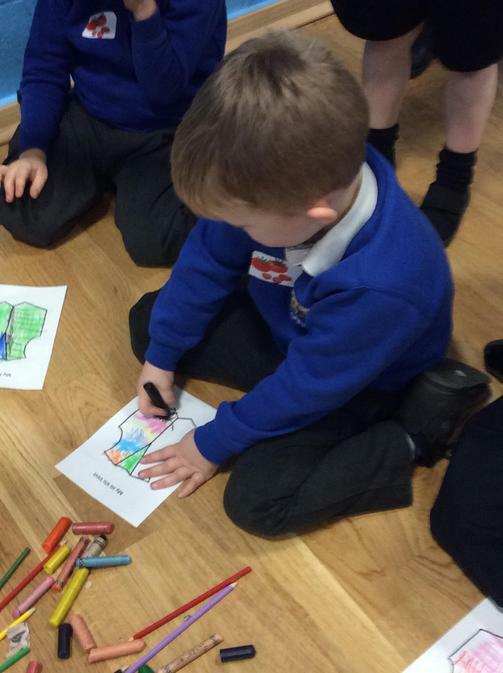 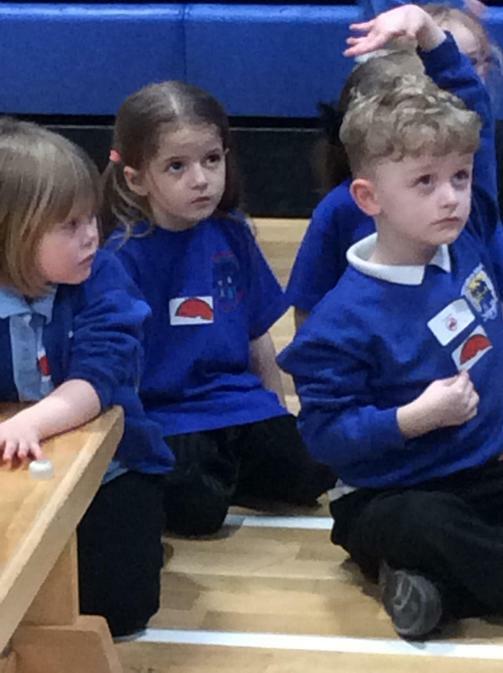 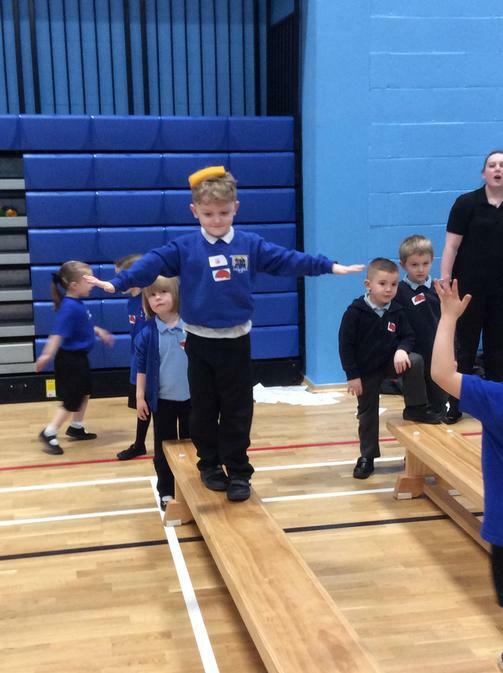 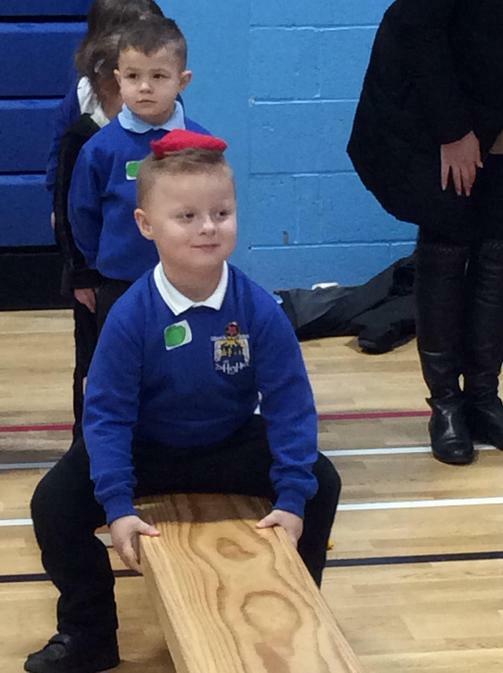 When it was Bring and Adult to School Day we did lots of fun activities all about Goldilocks and the Three Bears. 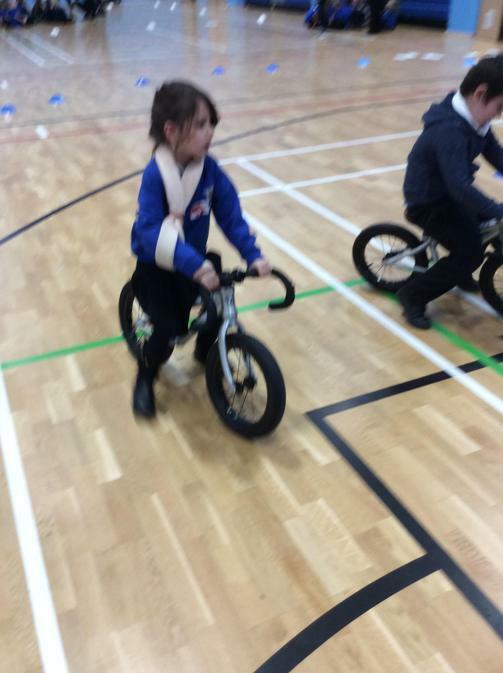 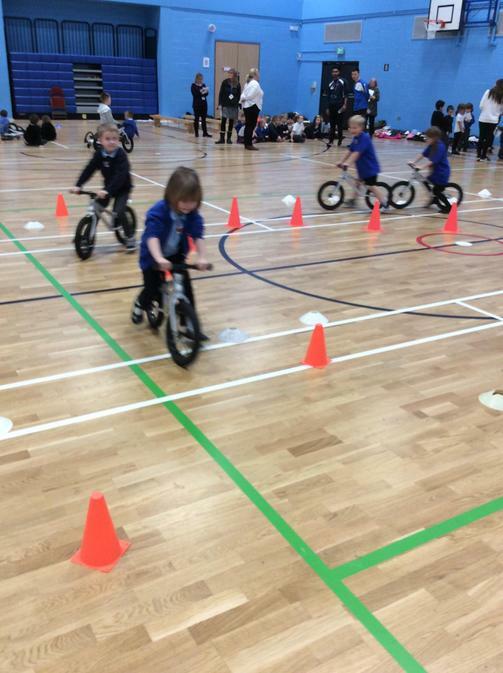 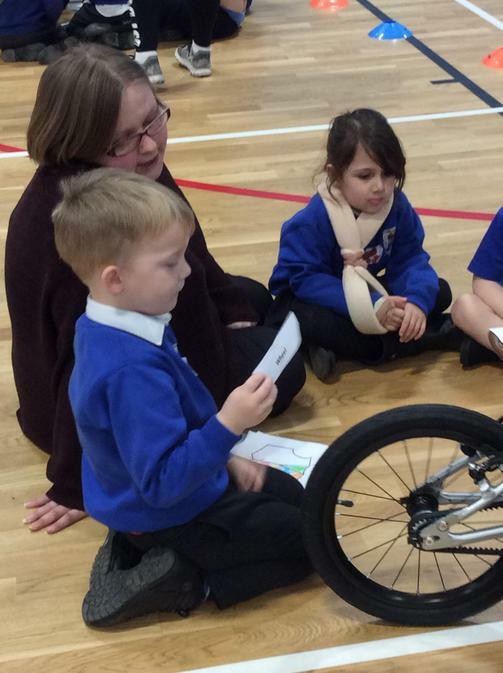 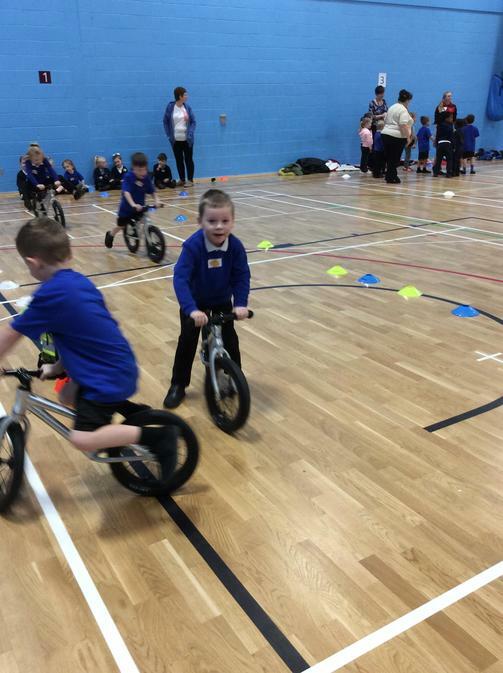 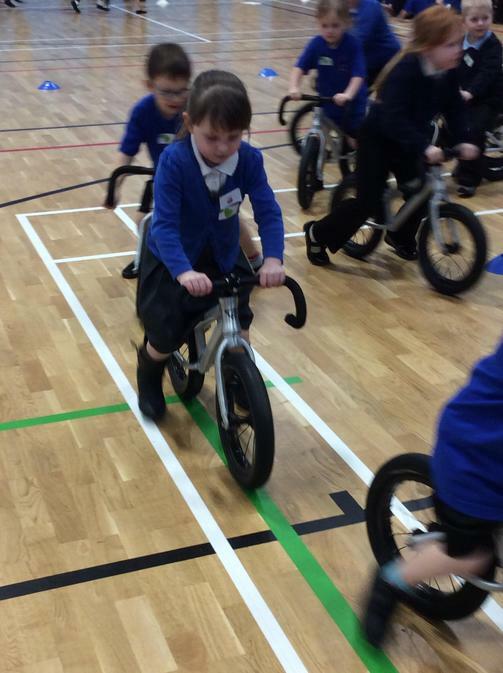 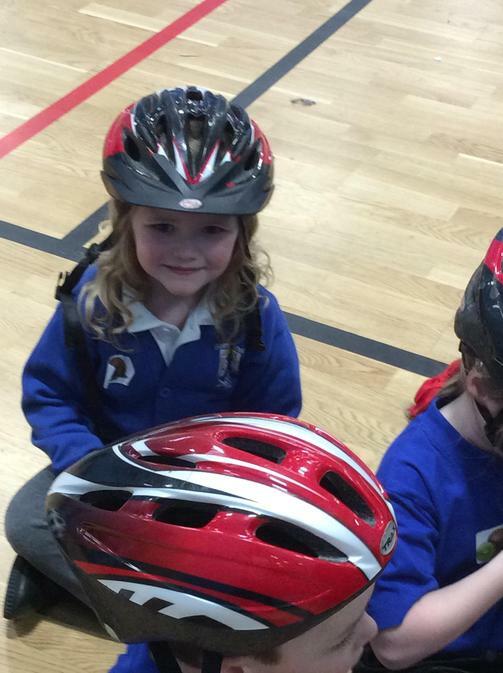 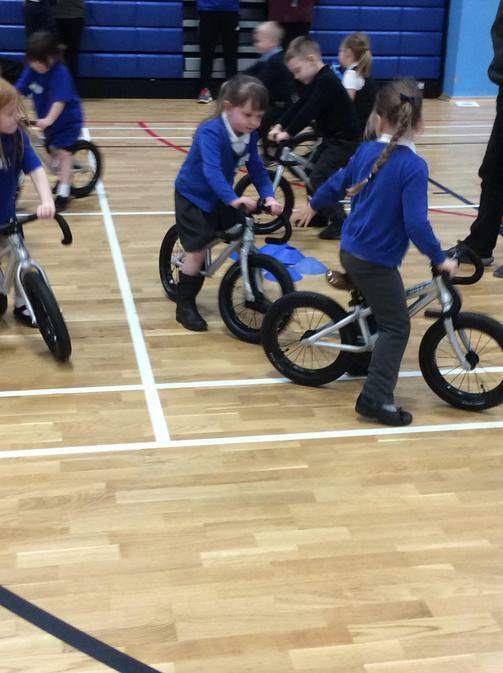 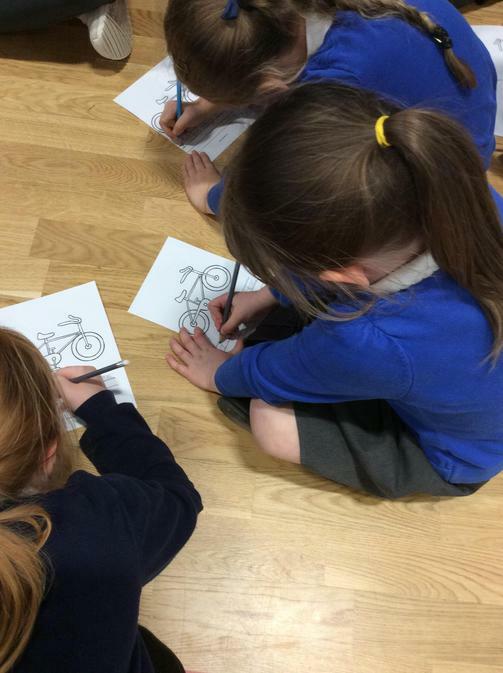 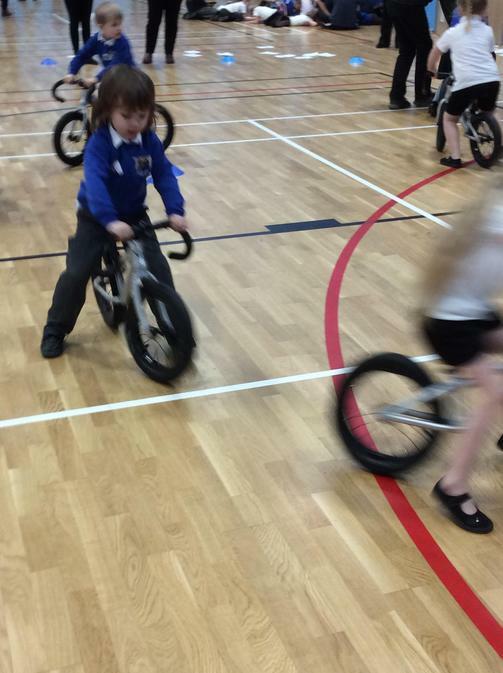 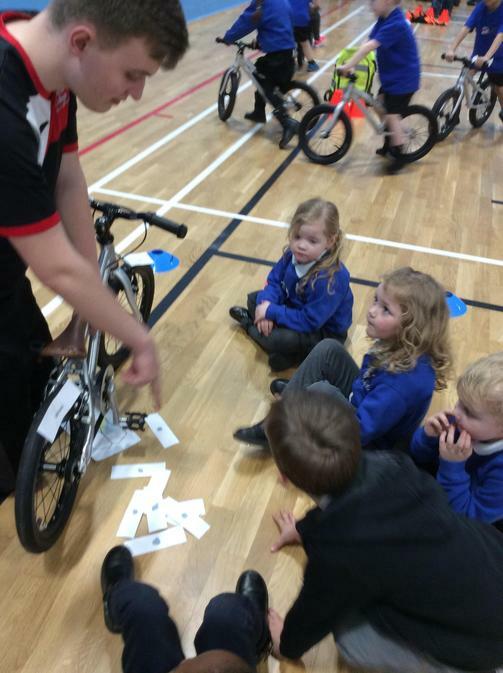 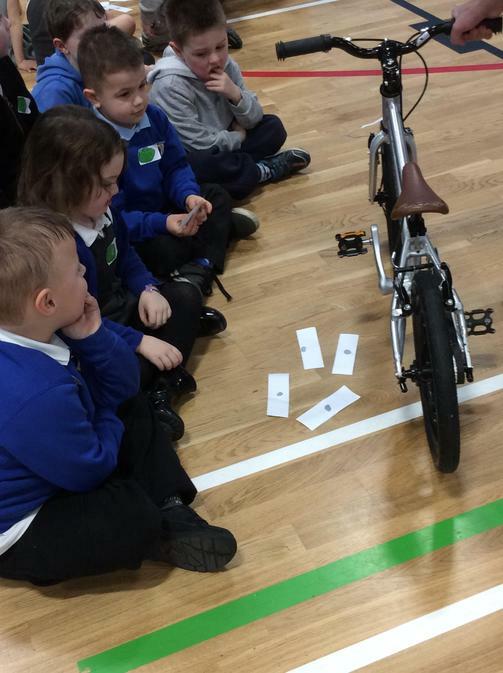 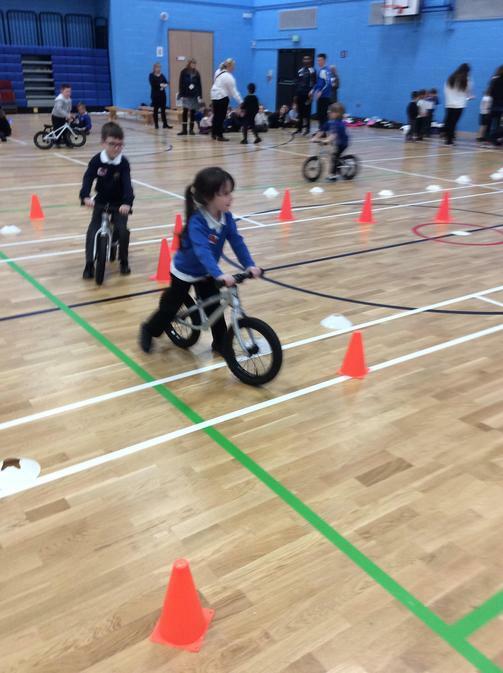 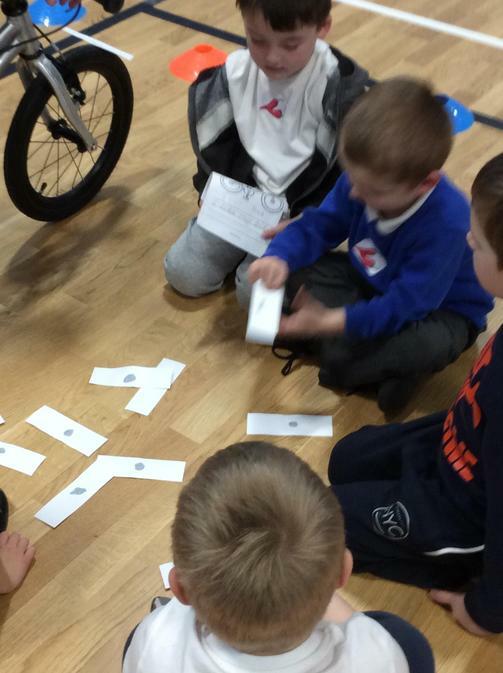 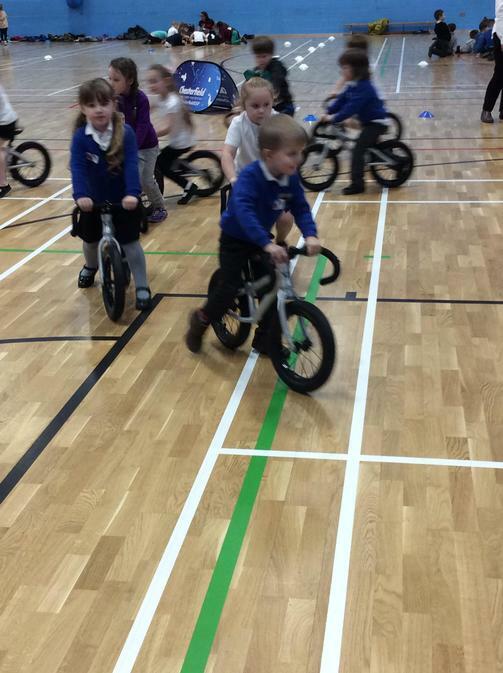 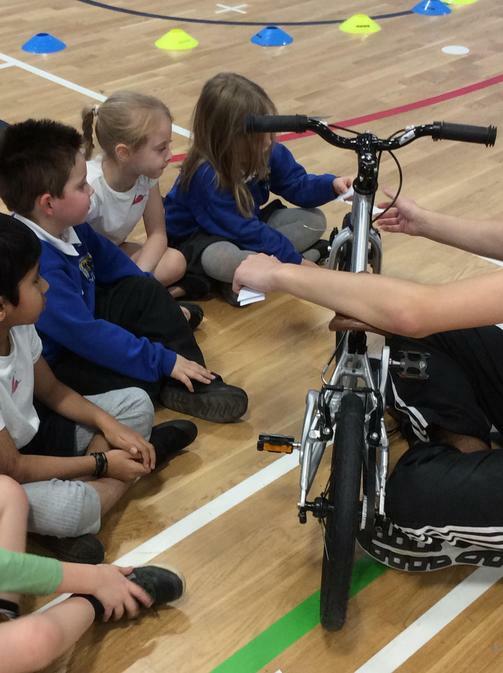 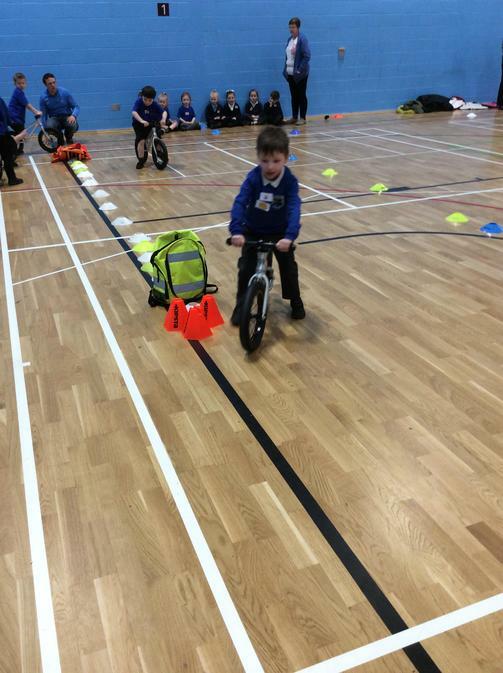 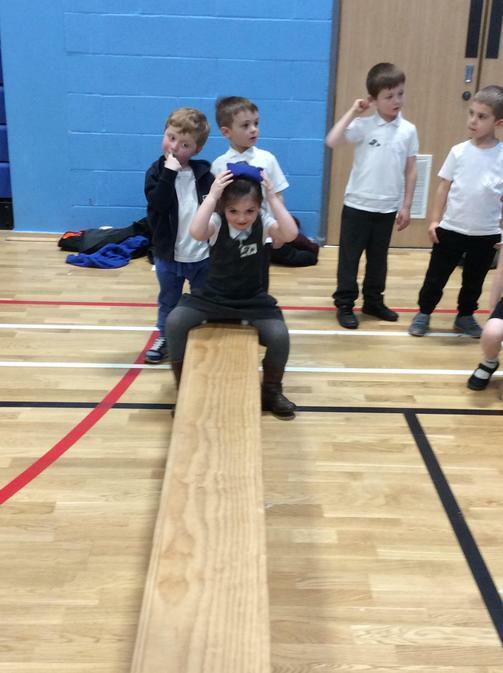 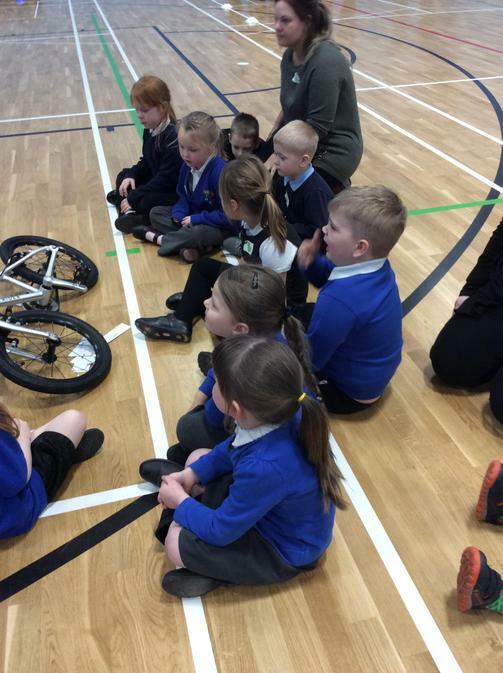 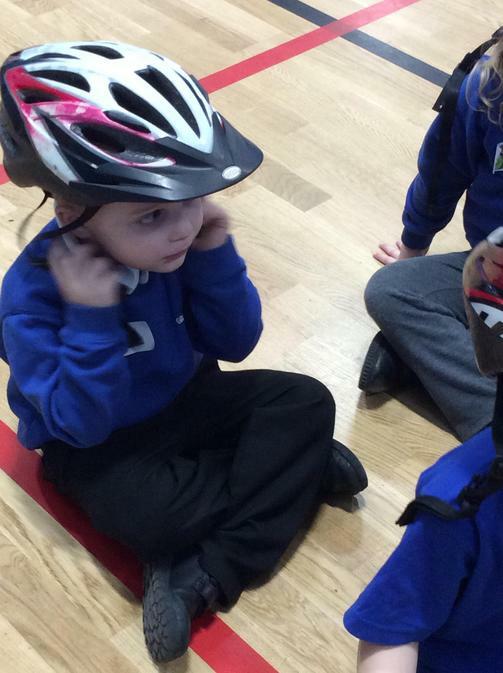 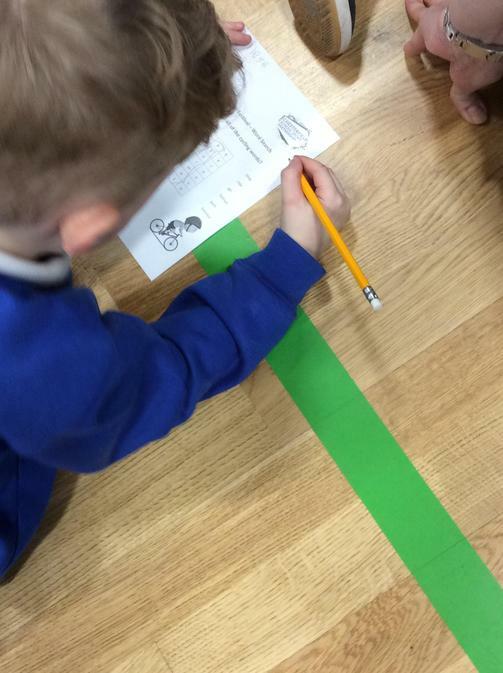 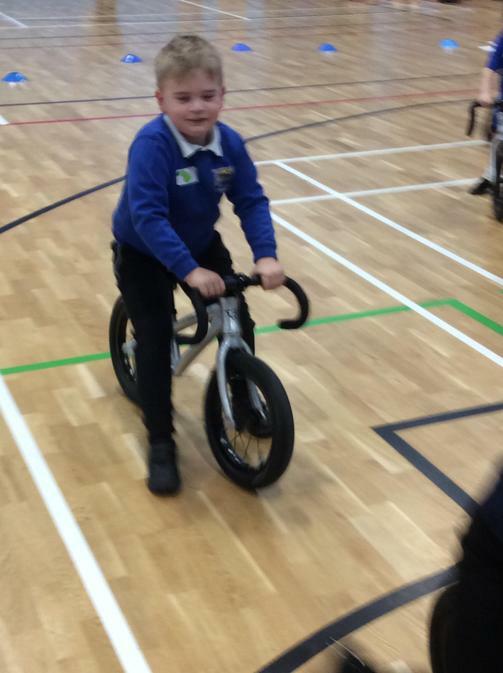 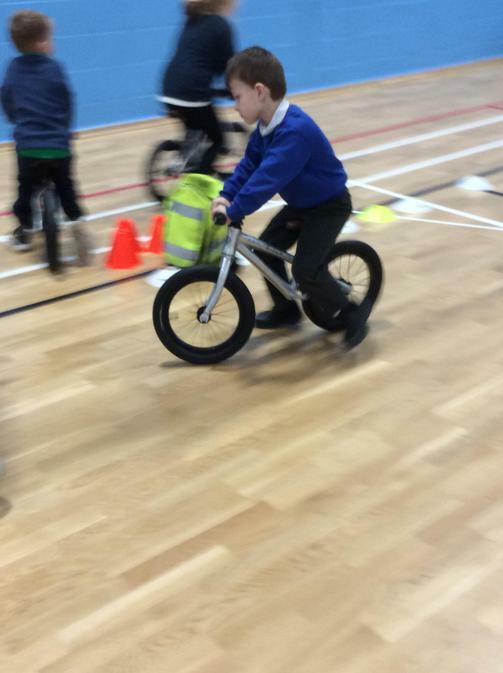 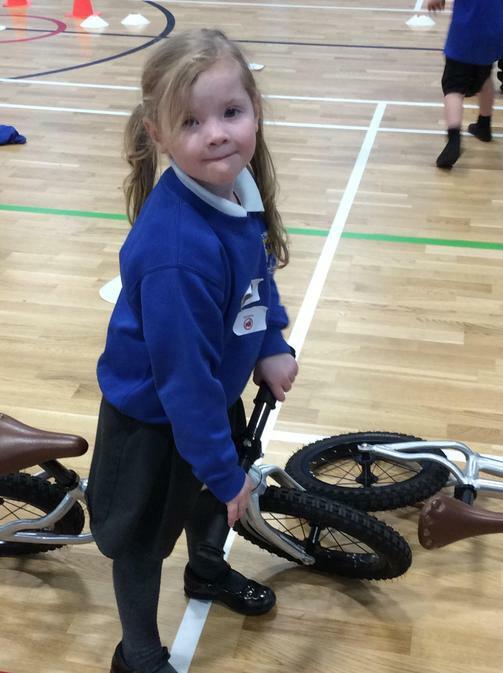 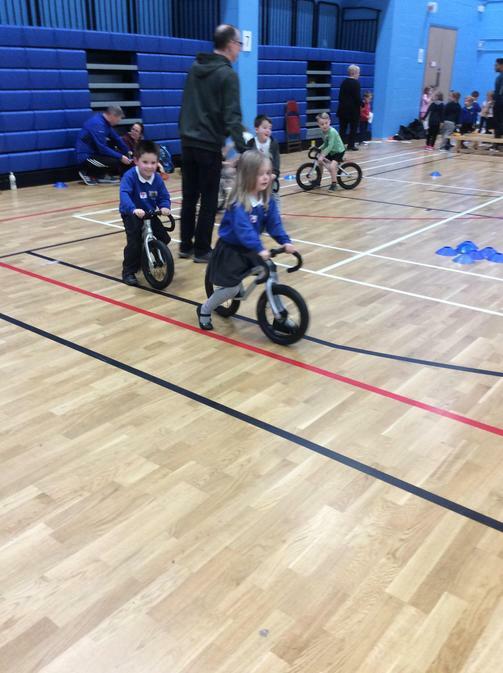 We had the balance bike people in to show us how to ride a balance bike. 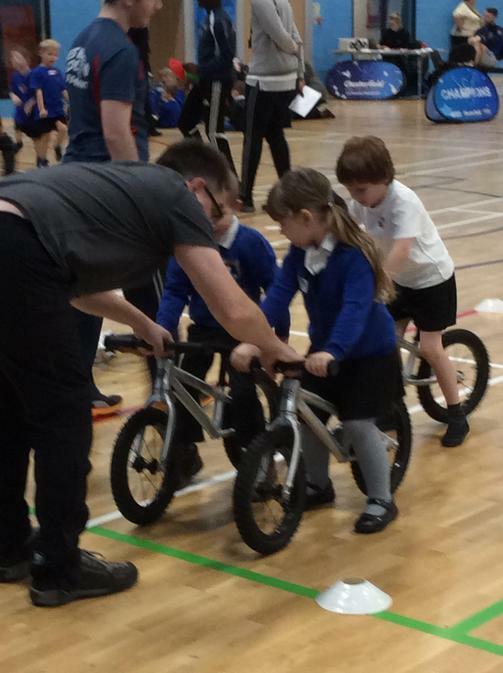 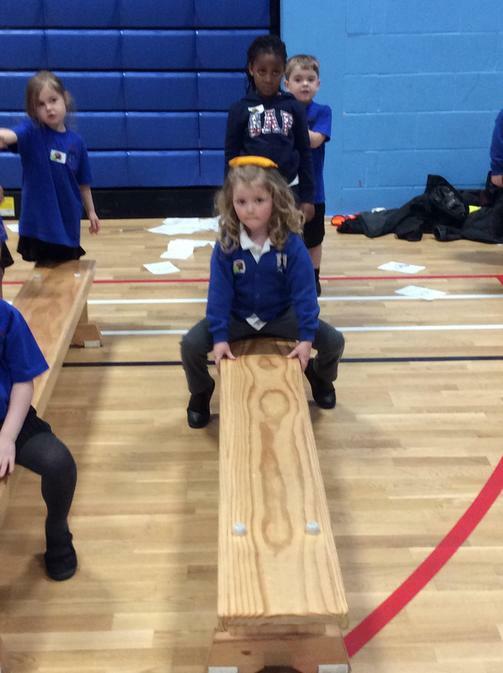 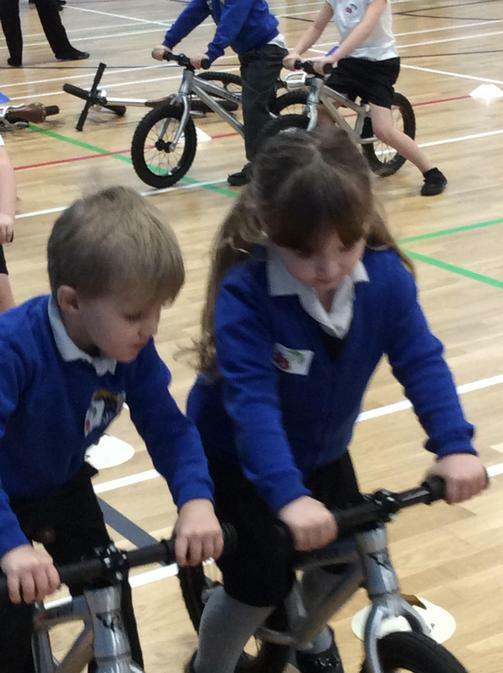 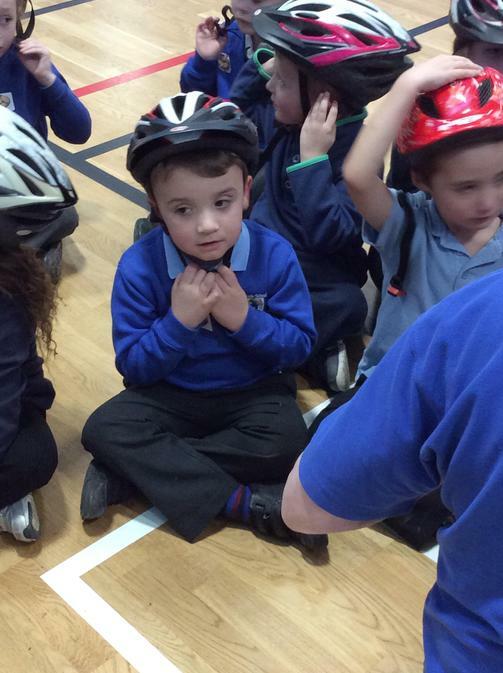 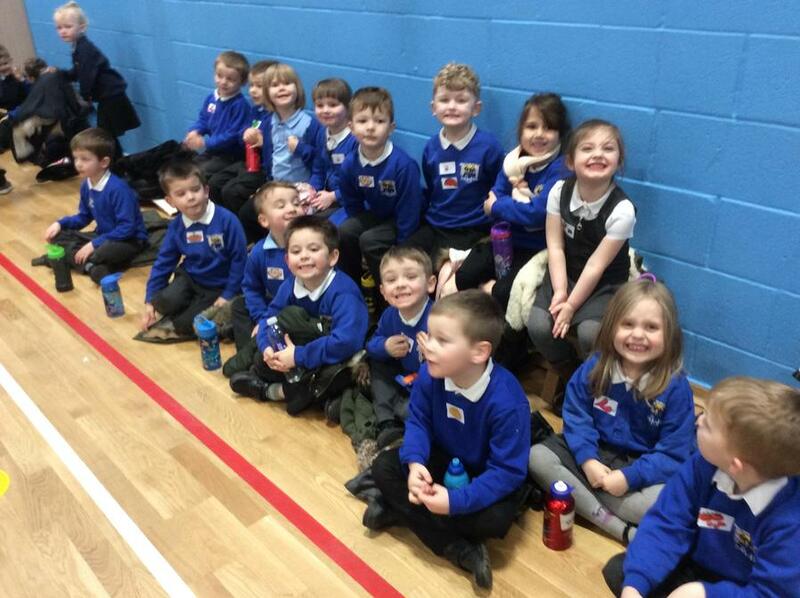 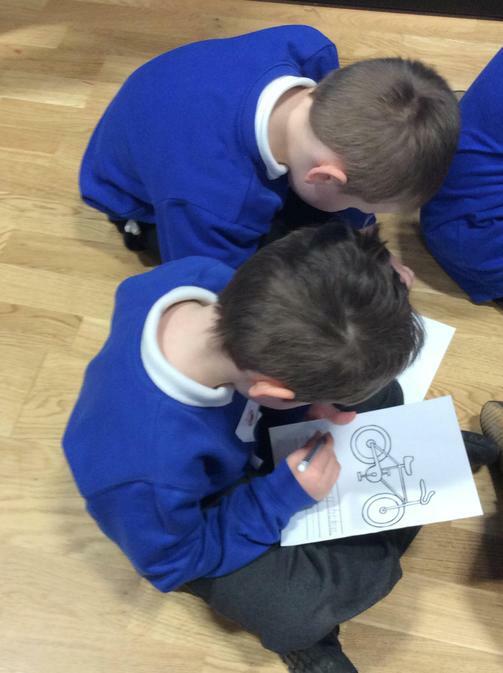 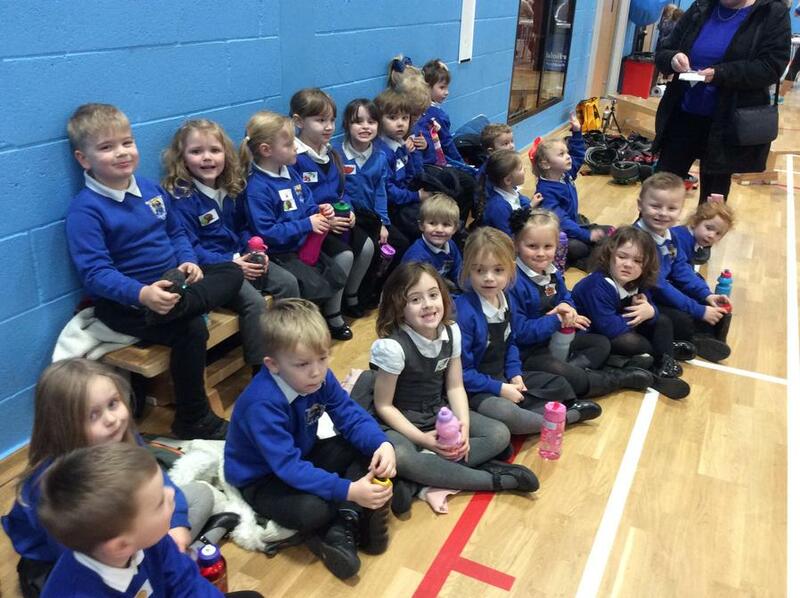 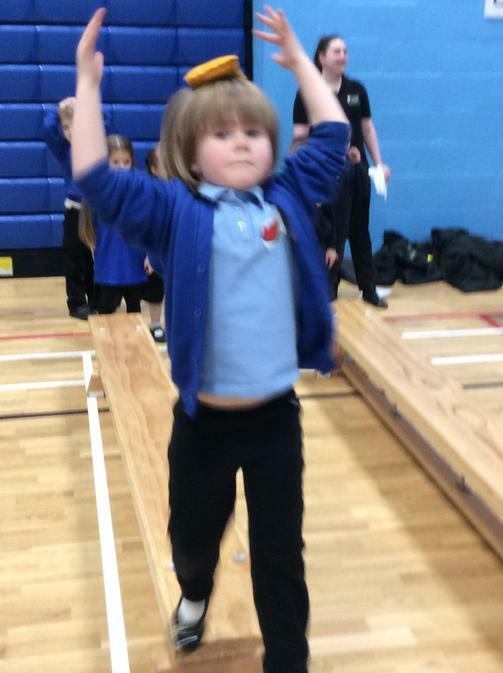 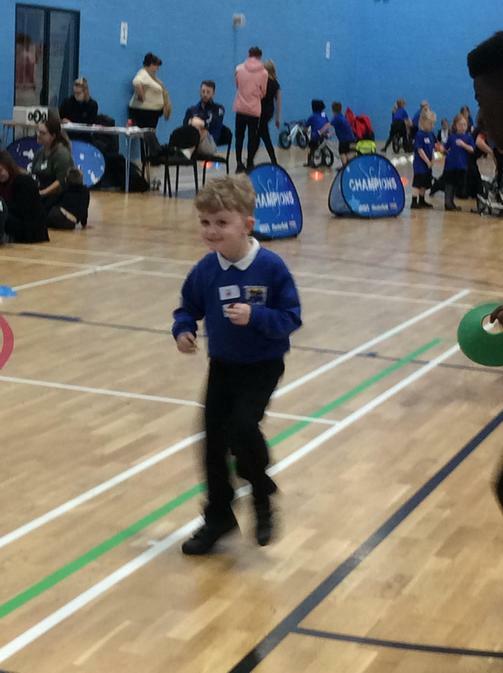 Then we went on a coach to Queens Park to take part in a balance bike event along with other schools.